In the 1950s and 1960s, Memphis, Tennessee, was the launch pad of musical pioneers such as Aretha Franklin, Elvis Presley, Johnny Cash, Al Green and Isaac Hayes, and by 1968 was a city synonymous with soul music. It was a deeply segregated city, ill at ease with the modern world and yet to adjust to the era of civil rights and racial integration. Stax Records offered an escape from the turmoil of the real world for many soul and blues musicians, with much of the music created there becoming the soundtrack to the civil rights movements. 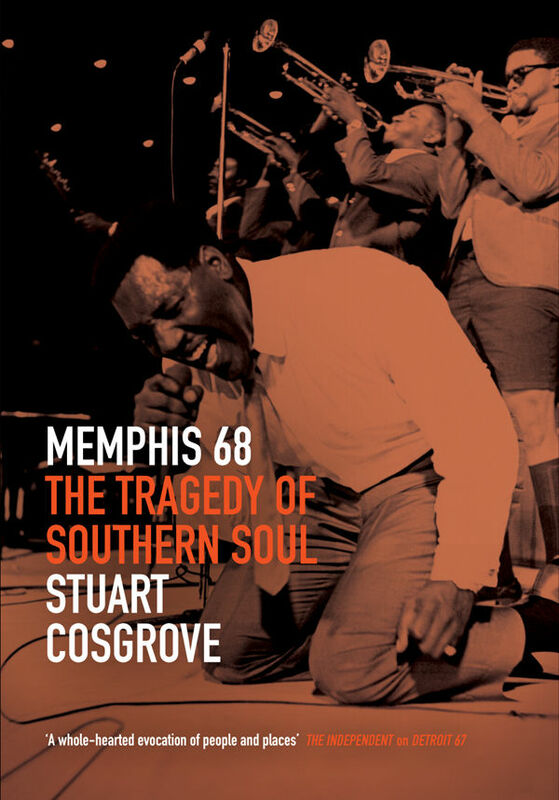 The book opens with the death of the city’s most famous recording artist, Otis Redding, who died in a plane crash in the nal days of 1967, and then follows the fortunes of Redding’s label, Stax/Volt Records, as its fortunes fall and rise again. But, as the tense year unfolds, the city dominates world headlines for the worst of reasons: the assassination of civil rights leader Martin Luther King. Stuart Cosgrove originally from Perth, was a fanzine writer on the northern soul scene before joining the black music paper Echoes, as a staff writer. He became media editor with the NME and a feature writer for a range of newspapers and magazines. In 2005 he was named Broadcaster of the Year in the Glen ddich Spirit of Scotland Awards and in 2012 he won numerous awards including a BAFTA and Royal Television Society award for Channel 4’s coverage of the London Paralympics 2012. He is the author of Young Soul Rebels (Polygon, 2016).